Can You Claim Lottery Tickets on Your Income Taxes? The Internal Revenue Service lets you claim a deduction on your federal income taxes for losing lottery tickets you purchase during the year. But before you count on a hefty deduction for all those losing scratch-off, Keno and Powerball tickets, note that the tax rules significantly limit the amount of lottery tickets you can claim. In addition, the IRS imposes a number of other requirements you'll have to satisfy before taking the deduction. IRS rules allow taxpayers who itemize deductions to deduct gambling losses. However, those rules restrict deductions for losses to the extent of your winnings for the year and require taxpayers to keep a detailed record of money won and lost. Whether your winnings relate to lottery tickets, casino winnings or sports and racetrack winnings, the IRS treats the windfall as taxable gambling winnings that you're required to report on your return. These winnings are taxable regardless of whether you have losing lottery tickets or other gambling losses to deduct. Your lottery and other gambling winnings can only be reported on the “other income” line of Form 1040. As a result, you're ineligible to file your taxes on the shorter Forms 1040A and 1040-EZ if you have gambling winnings to report and plan on claiming a deduction for lottery tickets. Note that these forms will be different for the 2018 tax returns you file in 2019; the IRS has released drafts, but the official forms are not yet available as of October 2018. Your lottery ticket deduction is always limited to the amount of gambling income reported on your return. For example, suppose you bought $250 worth of scratch off tickets last year and won a total of $100. While you must report that $100 as gambling winnings, you are also eligible to deduct some of your losses. You lost a total of $150 (total wager of $250 minus your winnings of $100). However, because IRS rules limit the amount you can deduct as losses to the amount you won, you can only deduct $100 of your gambling losses. In this situation, your winnings and losses are essentially a wash. However, if you won more than you lost, you will have taxable income. So if you spent $250 on scratch offs but won $300 total, you can deduct the $250, but you'll be taxed on the $50 difference. Deductions for lottery tickets can only be reported on Schedule A as an Other Miscellaneous Expense. This means you'll need to itemize all of your expenses instead of taking the standard deduction. 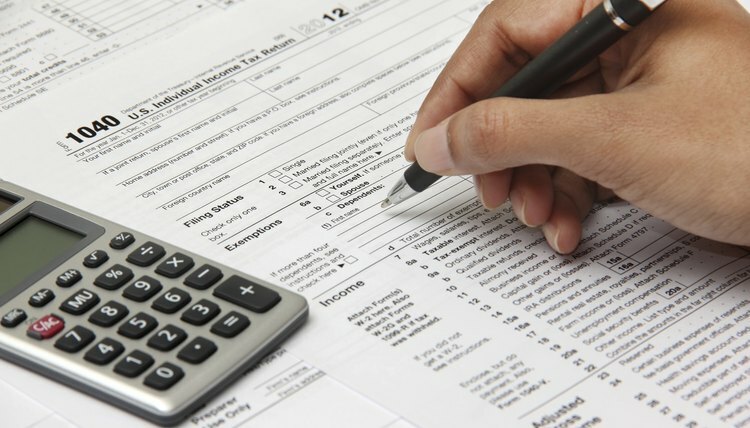 Itemizing generally is beneficial only if the total amount of expenses you report is more than the standard deduction available for your filing status. Unless your losing lottery ticket deduction is more than the standard deduction by itself, you'll likely need to report additional deductible expenses on Schedule A to see the tax savings of itemizing your lottery tickets . This might include mortgage interest, state income taxes, job-related costs and charitable contributions, for example. The standard deduction has increased significantly for 2018 under the Tax Cuts and Jobs Act and has essentially doubled for all types of filers. For the 2018 tax year, the standard deduction is $12,000 for individuals and married individuals filing separately; $18,000 for heads of household and $24,000 for married couples filing jointly. If you normally itemize, you'll need far more deductions to exceed the standard exemption. To claim lottery tickets on your federal taxes, the IRS requires you to maintain a diary of all your gambling wins and losses for the year. The IRS suggests writing down the dates you purchase lottery tickets, their cost, the place where you bought them, the names of other people who may be with you and the amount you win or lose on each ticket. Holding on to all of your losing tickets can be a good idea in the event the IRS ever questions the validity of your deduction. Marz, Michael. "Can You Claim Lottery Tickets on Your Income Taxes?" , https://legalbeagle.com/8076699-can-lottery-tickets-income-taxes.html. 04 November 2018. Are Union Dues Taken Out Before Taxes?